Social Media Marketing World 2017 (SMMW17) was a wonderful event where over 200 speakers and over 3000 attendees from over 50 different countries around the world descended on San Diego to create a historic event for social media marketers. Leading social media marketers travelled to #SMMW17 learn about best practice in the industry. 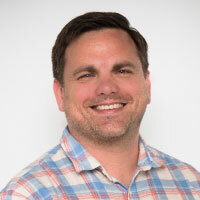 There were also many celebrities and thought leaders presenting individual tracks on specific topics such as copywriting, split testing, virtual reality, artificial intelligence, content marketing, influencer marketing as well as channel specific tracks on Facebook, Instagram, Twitter, LinkedIn, YouTube, podcasts, Pinterest, Snapchat and live video. 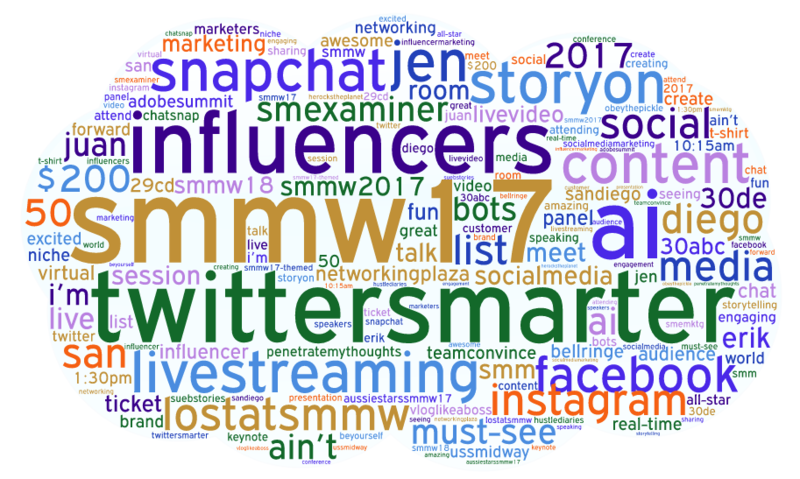 The most frequently mentioned topics at the conference were the official hashtag #SMM17, #TwitterSmarter, #Storyon, influencers, content, #LiveStreaming, Snapchat, Facebook, Instagram and #AI. 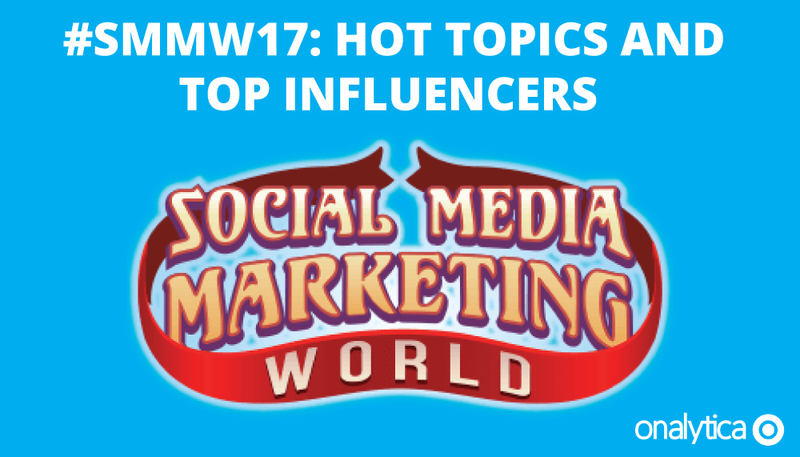 We decided to delve deeper into these 10 topics and uncover the SMM17 influencers in the context of these 10 most popular topics. Below is a list of the top 25 influencers discussing #SMMW17. If you want to see who ranks from 1-50 be sure to download the full report by clicking the download button below! Below is a list of the top 25 influencers discussing #Twitter at #SMMW17. Below is a list of the top 25 influencers discussing story telling at #SMMW17. Below is a list of the top 25 influencers discussing influencer marketing at #SMMW17. If you want to see who ranks from 1-50 be sure to download the full report by clicking the download button below! Below is a list of the top 25 influencers discussing content marketing at #SMMW17. 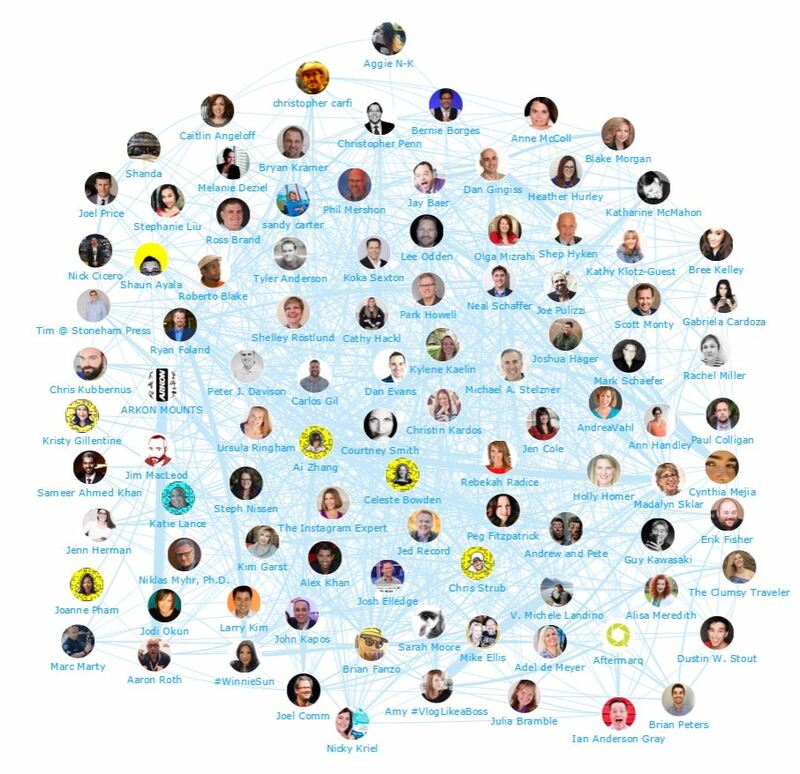 Below you can see a network map of the online #SMMW17 conversation. This map was created with our Influencer Relationship Management software (IRM). Be sure to click on the map to enjoy the full size network diagram in greater detail. Below is a list of the top 25 influencers discussing live streaming at #SMMW17. If you want to see who ranks from 1-50 be sure to download the full report by clicking the download button below! Below is a list of the top 25 influencers discussing #SnapChat at #SMMW17. Disclaimer: As ever with these lists, it must be stressed that the ranking is by no means a definitive measurement of influence, as there is no such thing. The brands and individuals listed are undoubtedly influential when it comes to driving discussion around Social Media Marketing.